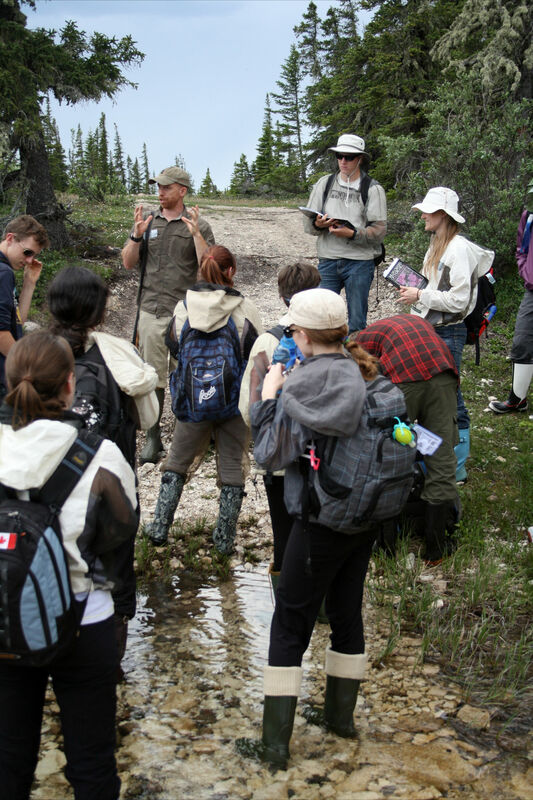 The field course in Arctic Ecology (BIOL*4610), offered periodically by the University of Guelph, explores ecological relationships in a sub-arctic environment. Based out of the Northern Studies Research Center, the 2-week course takes place in Churchill Manitoba and the surrounding area. That was what we, the students, knew going into the course. What we didn’t know was that course would be, for many of us, a once in a lifetime experience! There are only three ways of travelling to Churchill, Manitoba: by boat, by plane or by train. Since we wouldn’t be taking the boat route, two options were left: an hour and forty-minute flight, or a three-day journey by rail. The latter is where most of our adventures began (particularly when some of us didn’t purchase a sleeper ticket). There is much to be learned from a long northward trek, from changing ecosystems and changing cultural environments to increasing price tags. Eventually though, the journey’s end came with a comfortable bus ride and an incredibly delicious meal at the Northern Studies Centre. From there on out, it was down to business. The first week of our course was spent roaming the rugged landscape, learning about the diverse ecosystems the region has to offer while simultaneously trying to prevent ourselves from being carried off by the swarms of (seemingly) abnormally-sized horse flies. We visited sphagnum bogs, fens, the coast (which may have involved kayaking with belugas), a cranberry-laden moraine and the northern extent of the boreal forest. We explored Krummholtz and bluffs, learned that sedges have edges and learned to always be on the lookout for polar bears (at least 2 bear guards please!). The second week however, allowed us the liberty of designing and conducting our own studies. As a real world example of scientific research in action, the first day of week-two was spent sampling in the footsteps of Robert E. Gregg and collecting ants from his original 1969 study sites (Gregg 1972). Armed with basic instructions on the identification of the 1969 sampled ant species and genera, we visited a total three sites: Cape Merry, the Churchill Welcome Sign, and Goose Creek Bog. At each site, we spent approximately three hours actively searching for ants, breaking open woody debris and digging into moss hummocks. This was true for all but the Goose Creek site where our (brand new bus) tire sprung a leak and we had no choice but to wait there (which may have resulted in a thoroughly sampled population of Odonates) until Alex Smith, one of the instructors walked into town to radio the Churchill Northern Studies Centre for Plan-B transportation. 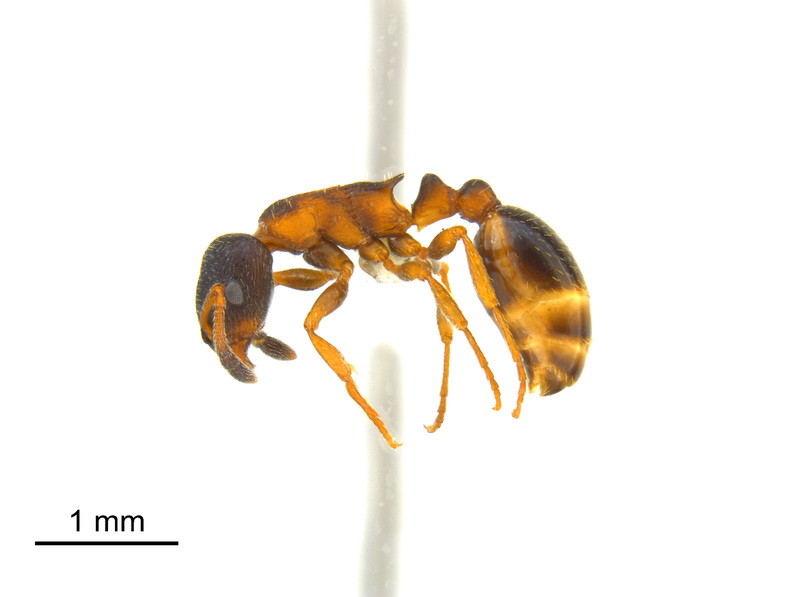 From there it was back to the lab for a crash course on identifying ants to morphospecies, and for many of us, a valuable lesson that all individuals of a species do not look the same (due to individual variation and cryptic diversity). The rest of week-two was spent with groups of students at every site chasing a variety of six-legged, sub-arctic mysteries. Of course, as students of the natural world, no curiosity was overlooked and no opportunity for fun either! Many an hour was spent bluff jumping, polar bear sighting, investigating the Ithaca shipwreck, and in the case of some students, completing a partial reconstruction of an arctic fox skeleton. Needless to say, it was a very short two weeks that passed with discovery and awe. 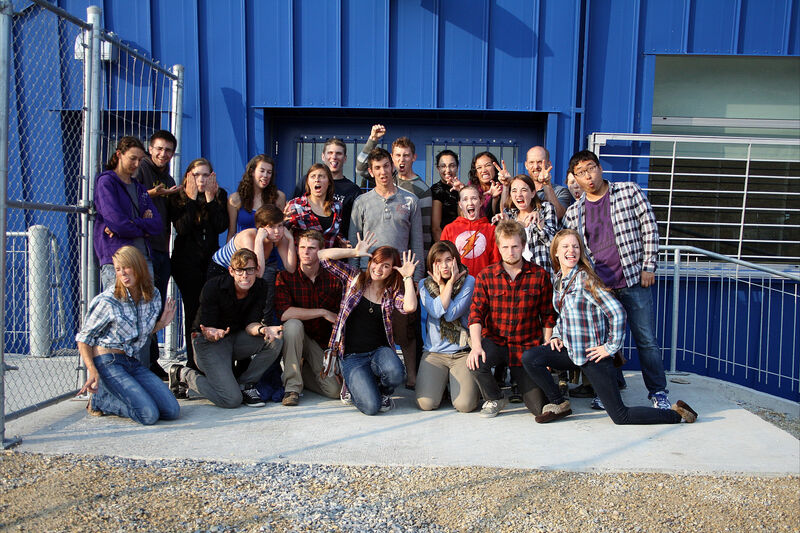 Going into our field course, I’m not sure any of us thought we would come out of it as published authors. For many of us that participated, the Arctic Ecology field course provided the first real opportunity to actively participate in research outside of the university. The idea that a few days’ worth of collections could be turned into a scientific paper was almost unimaginable. The resulting paper was the first publication that any of us had contributed to. It was exciting to receive the manuscript drafts, and then paper proofs and to know that even aspiring researchers like us could contribute to the knowledge of the scientific community. During the course, we took high-resolution panoramic GigaPan photographs of the areas we sampled (Smith et al 2013) – you can explore those here. All the DNA barcodes we generated during the course are publicly available for download and exploration. Finally, we wrote about using GigaPans in our Churchill adventures in an article for GigaPan Magazine. We would like to thank LeeAnn Fishback and the staff of the Churchill Northern Studies Centre (https://www.churchillscience.ca/) for all their hospitality and help in Churchill. Support from the CREATE Lab Outreach Program at Carnegie Mellon University, the Learning Enhancement Fund of the University of Guelph (http://www.lef.uoguelph.ca/) and the Fine Foundation helped provide funds for GigaPan-ing and DNA barcoding during the course. Support from the Natural Sciences and Engineering Research Council of Canada (NSERC) and the Canada Foundation for Innovation (CFI) to Alex Smith and Sarah Adamowicz provided support and infrastructure. Entomologist Survey: Life & Living in Academia Questions About Scientific Publishing? Come to #ESCJAM2015!